It’s week 2 of the winter term and things haven’t quite settled into a routine yet. One cause is my pet peeve, the too-long add-drop period: students are still joining my classes (which they can do online without so much as checking in with me first) even though they’ve already met four times each. The ripple effects of this are pretty significant for both instructors and students–but clearly we are never going to persuade the administrative Powers That Be (who are quite as inscrutable as their namesakes in Angel) that this system is pedagogically unsound, so I should probably stop complaining about it. The other unsettling factor is winter, which has taken on its more accustomed form this week: after several spells of either fiercely cold (but dry) days and unseasonably warm (but very rainy) days, last night we had our first real dump of snow, and there’s more in the forecast for tomorrow. I am so happy that next winter term I’ll be on sabbatical! And the winter term after that (amazingly enough) I will no longer be chauffeuring Maddie to high school, so I will have much more flexibility about exactly when I venture out in the morning. However! These various sources of stress aside, the business of the term is underway and really, as far as I can tell, it’s actually going pretty smoothly so far. In Pulp Fiction I’m done with warm-up material and we’ve started our unit on Westerns. Yesterday was mostly about context–the history and myth of the American West and the origins and conventions of the Western. The reading I assigned was Sherman Alexie’s “My Heroes Have Never Been Cowboys”: from the discussion we had, and from the reading journals the students submitted, most of them seem to have found his critique and subversion of Western tropes engaging and thought-provoking. It’s also a good text for introducing the importance of point of view, which we’ll want to be self-conscious about throughout the term. 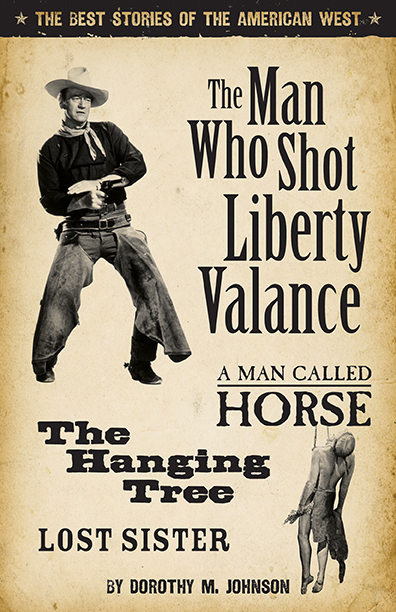 Tomorrow we’ll be talking about Dorothy Johnson’s “The Man Who Shot Liberty Valance,” which has many elements of a classic western but takes some unexpected turns. We’ll work through two more short stories before starting our main text, Valdez Is Coming, next week. So far the energy seems good in the classroom: I really hope that persists, as last year I really struggled to get much participation. It’s a lot more fun for everyone when the discussion is lively, and as I’ve been really emphasizing in my own comments so far, English is a discussion-based discipline (yes, I’m going to bring up “coduction” eventually), so talking and listening are also key ways to hone the relevant skills. In Victorian Sensations we are also done with our warm-up material, though there was less of it there as it’s a 4th-year class. I set things up for the term with one lecture on “the rise of the novel” and some specific features of sensation fiction. This year there are a lot of students in the seminar who have taken at least one of my 19th-century fiction courses, which means some of this was review for them, but a little reinforcement never hurts, and this brings those without that previous experience in the genre up to speed. 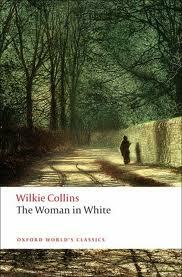 With that preliminary work out of the way, we’ve begun our discussions of The Woman in White. What a lot of fun the novel is! I haven’t taught it (and thus haven’t reread it) since 2012, and I am reveling in its twists and turns and excesses and absurdities, from Walter’s pathetic pining after Laura–the perfect and, as students quickly concluded, perfectly dull representative of ideal Victorian womanhood–to her indomitable half-sister Marian–Magnificant Marian, as the effusively charming and sinister Count Fosco calls her. Here too the energy seems good so far, with plenty of people already chiming in: this is not just desirable but essential in a seminar, of course, so I’m glad to see it. I really enjoy the more open-ended style of a seminar class–although I find it takes every bit as much concentration, and is every bit as tiring, as a lecture class precisely because I’m not as much in control of where the discussion goes but I have to be very responsive to it. So here we are: well launched on another season. There are administrative wheels turning as well, which means meetings and paperwork, and I hope to get some writing done in the interstices, but even more, right now, I hope to get some better reading done–besides the reading I’m doing for class, of course. I’ve just started Dr. Edith Vane and the Hares of Crawley Hall, which looks just about perfect for this time of term. It’s lovely, isn’t it? 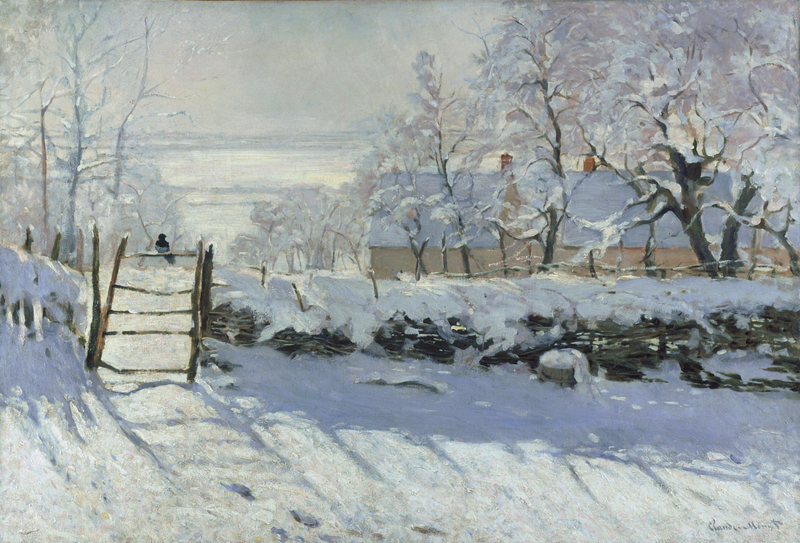 I thought maybe I could improve my own perspective on snow by finding some pretty pictures of it.